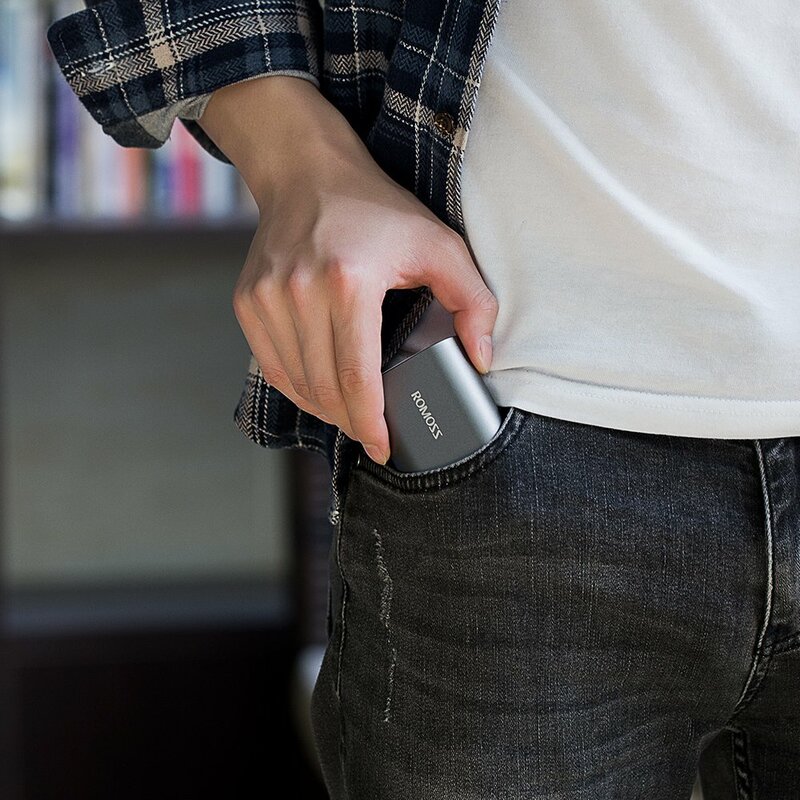 Compact Powerful Portable Charger: One of the smallest aluminum 10000mAh power bank (only half size of an iPhone X). 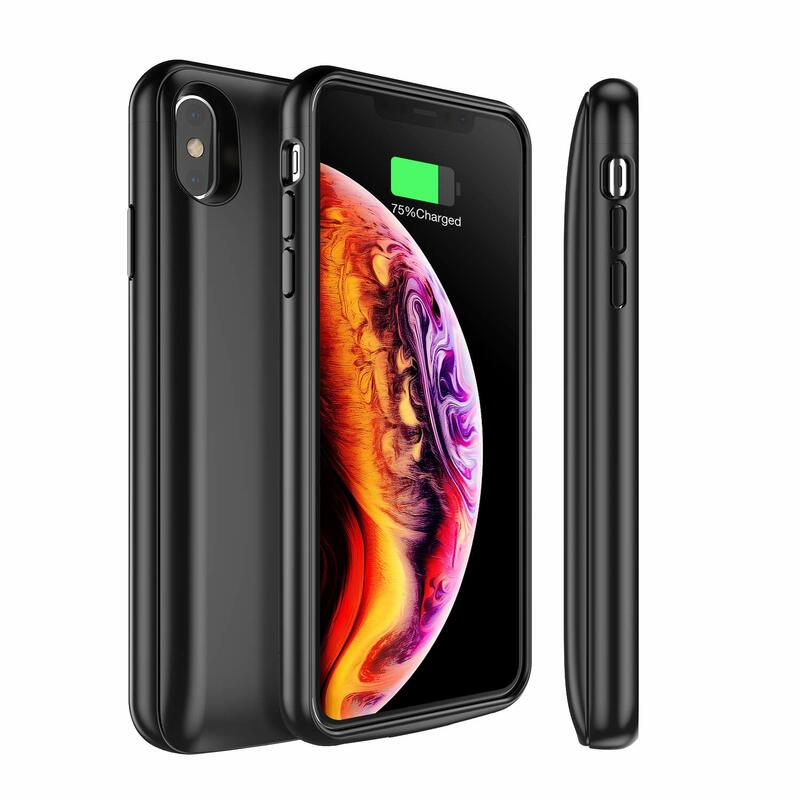 Gives 2.2 charges to an iPhone X or 3.2 charges to an iPhone 8. 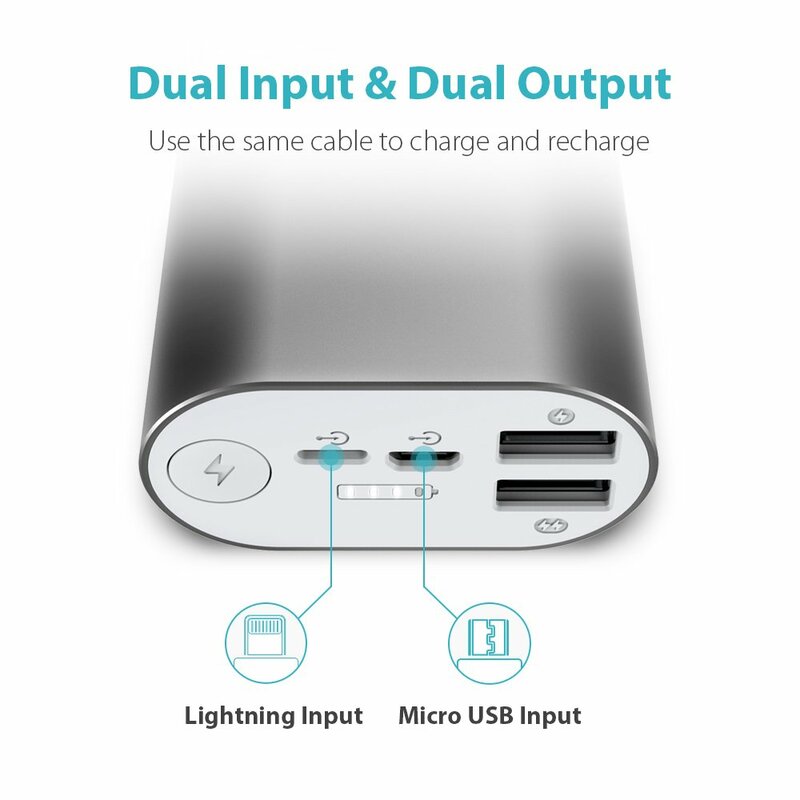 Lightning & Micro USB Input: Dual input design enables more flexibility of recharging your power bank. 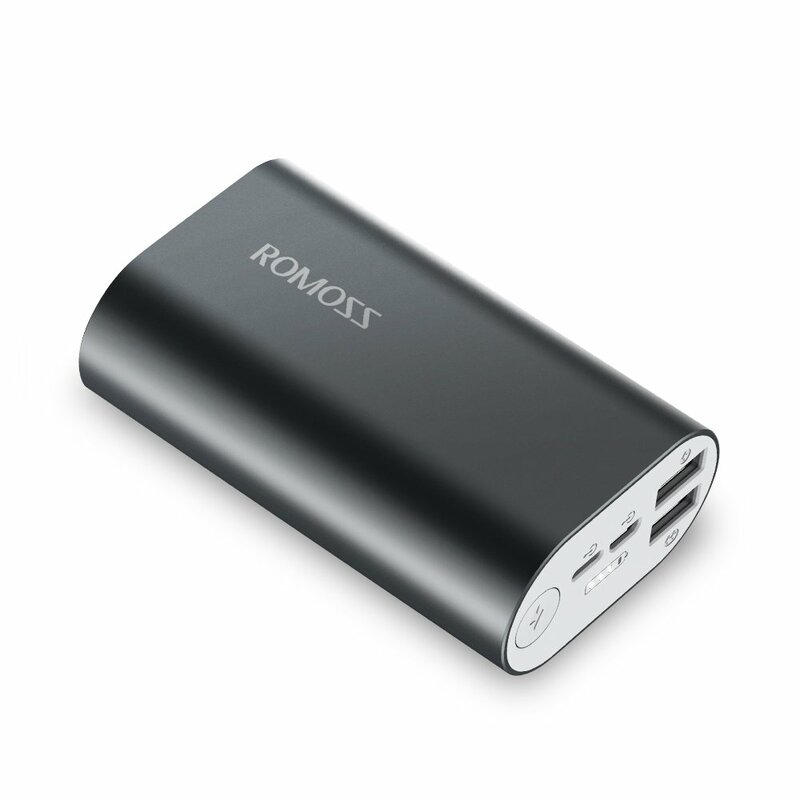 Dual USB Output: 2 USB outputs can charge 2 devices simultaneously at maximum speed (up to 2.1 amps). Premium Aluminum Surface Treatment: Use of same material as MacBook Pro to offer you smooth touch feel. 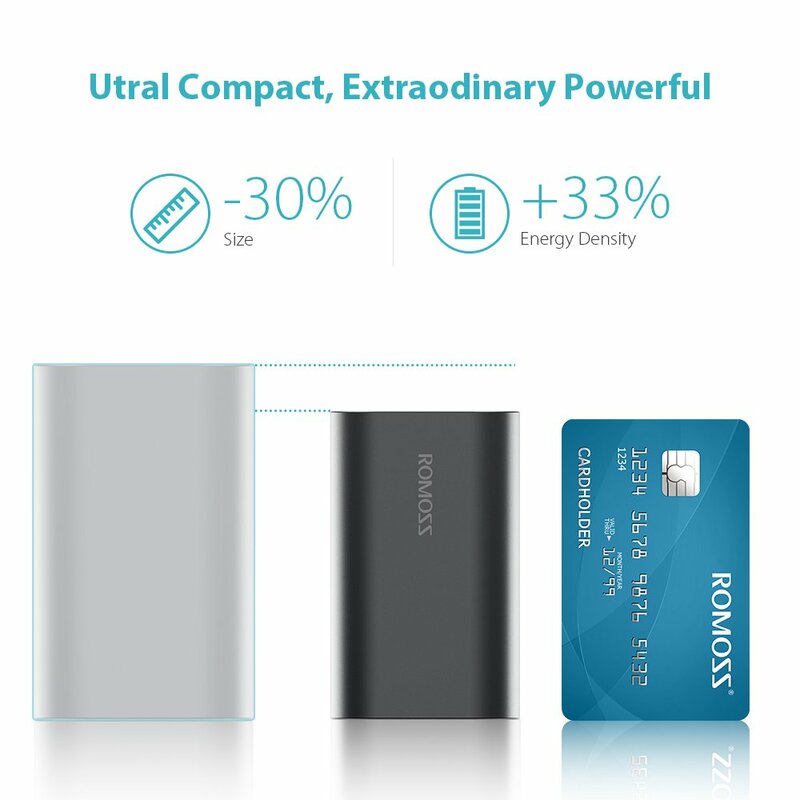 Package Includes: A ROMOSS 10000mAh aluminum power bank, a micro USB cable, a user manual, 12-month warranty and friendly customer service. Note: The lightning cable is sold separately. From my first test of the ROMOSS A10 and my iPad Pro 256 GB with the battery level at 90%. I wanted to see if while I watched a 1 hour video stored on my device if it would charge the battery in the iPad back to 100%. It dropped to 88% in an hr. of playback which I guess isn’t bad. All the while the ROMOSS kept 4 lights illumined so looks like I can go quite a while on a charge. Then with the iPad still plugged in I also connected my iPhone 7 Plus with 256 GB. It finally dropped the A10 from 4 to 3 lights after about 10 minutes. But the iPhone went from a 92% charge to 100% in just over half an hour all the while the iPad only dropped one more percent. I gave it five stars for the price and size it’s going to be a handy backup for my phones and other devices. Yes, I would recommend it to a friend. BTW I made sure in both the iPad and iPhone I closed out apps so there was nothing running in the back round before I connected them to the battery. Bought this item for my IPhone 7. It was a little heavier than I expected, but it is a high capacity charger. It works very well. My IPhone 7 was down to 23% battery life when I plugged it into the Power Bank. In less than two hours, I was up to 100% charge. 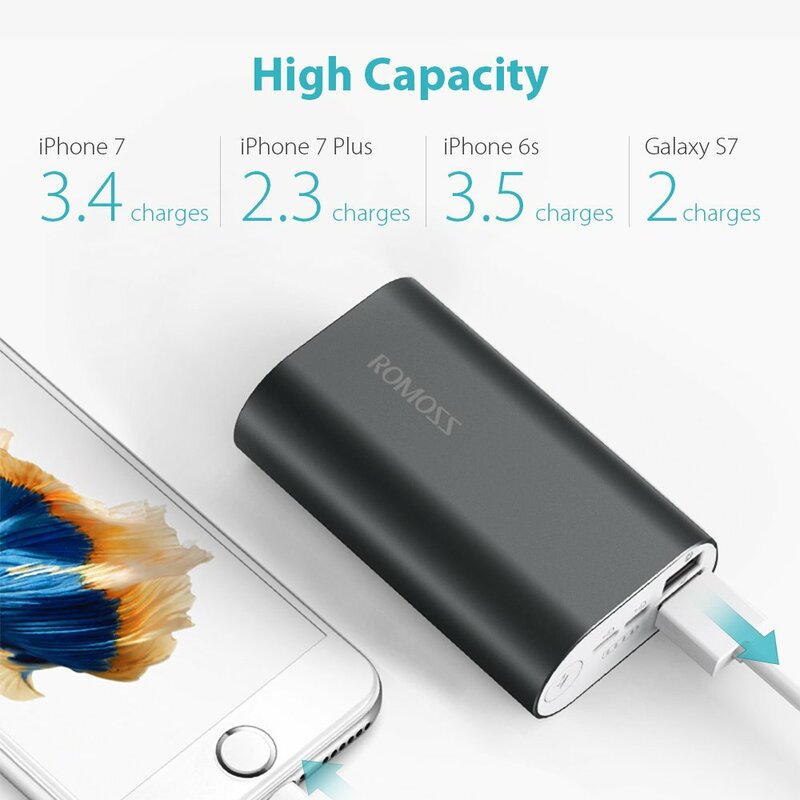 The Power Bank still has enough power to charge my IPhone several more times. This is important to me since I plan my music on it while I work in my garden that is in the country where there is no electricity. I had been looking for a charger for a while, but I wanted it to be safe for my new phone. I am glad I found this item on Amazon. Works great fast charging,wish it was a little lighter in weight. UPDATED review 5/20/2018 stopped working keeps getting messages does not support this item. 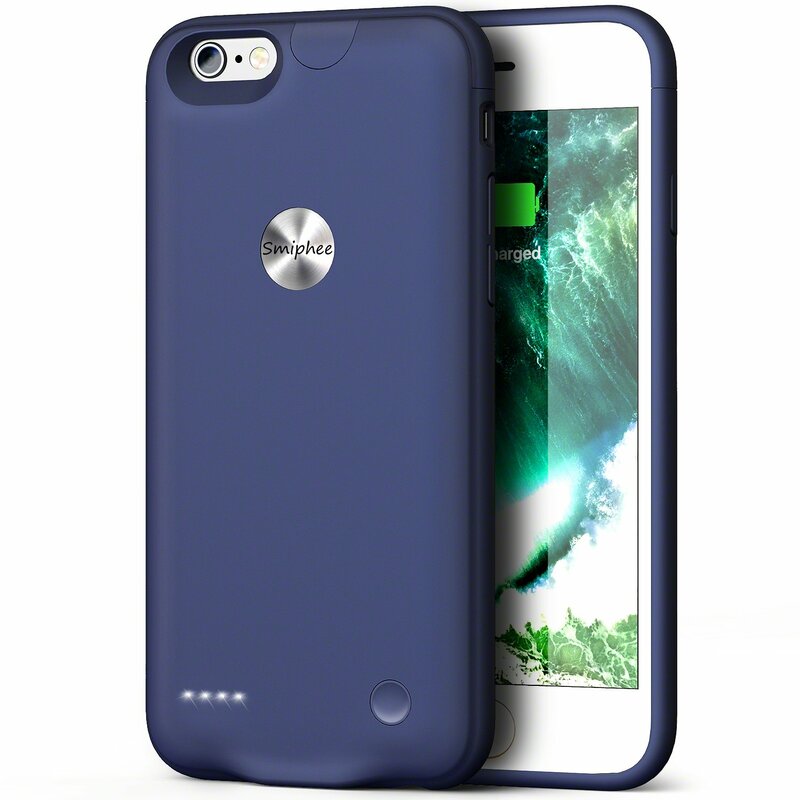 I am looking for a portable charge for my iPhone 6 which is easily run out of battery, and portable charge is pretty much essential for traveling. 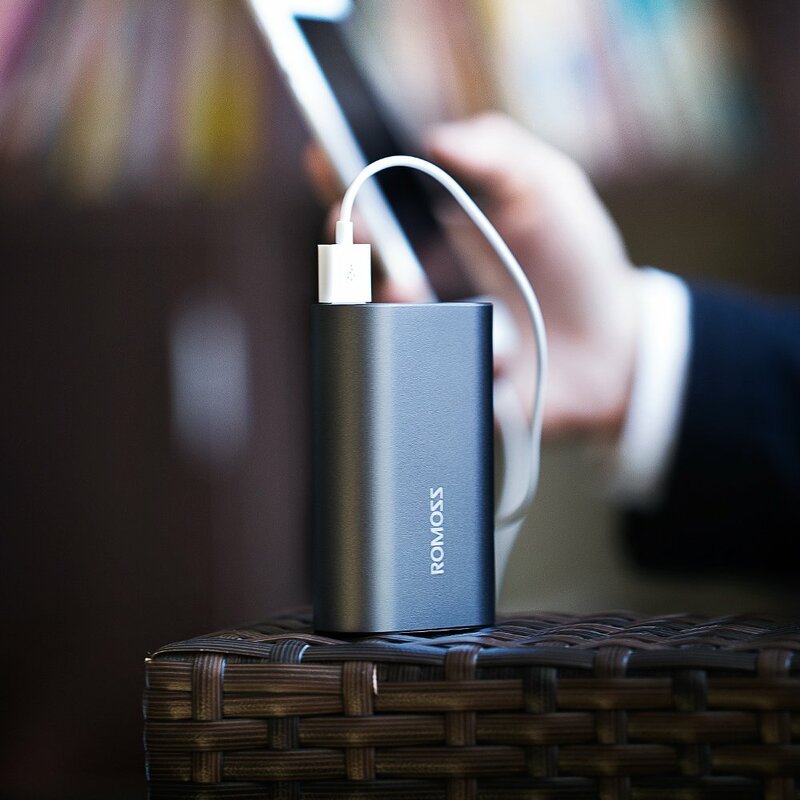 This portable charge is perfect. The size is small, easy to hold in my hand. It has two input with both lightning and micro usb, so I only need one cable, convenient for me. Love that this charger takes a lightning cable and a micro cable as we use both regularly. My son uses this to charge his iPad and Android cell phone, and can keep both cables connected so he doesn’t have to switch them out, and can charge it back up with either charger... Love this charger so far! 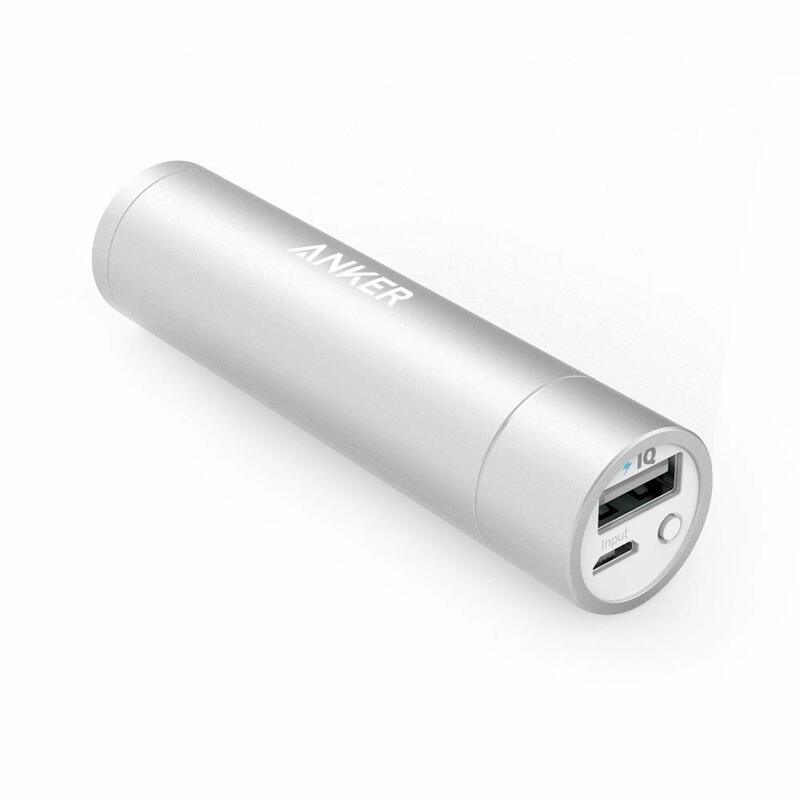 Well designed, charges itself fast and charges phones. Holds it's charge unused for weeks. A bit heavy, but that's the costs of a powerful battery. Take it everywhere, no problem going thru TSA at airport. 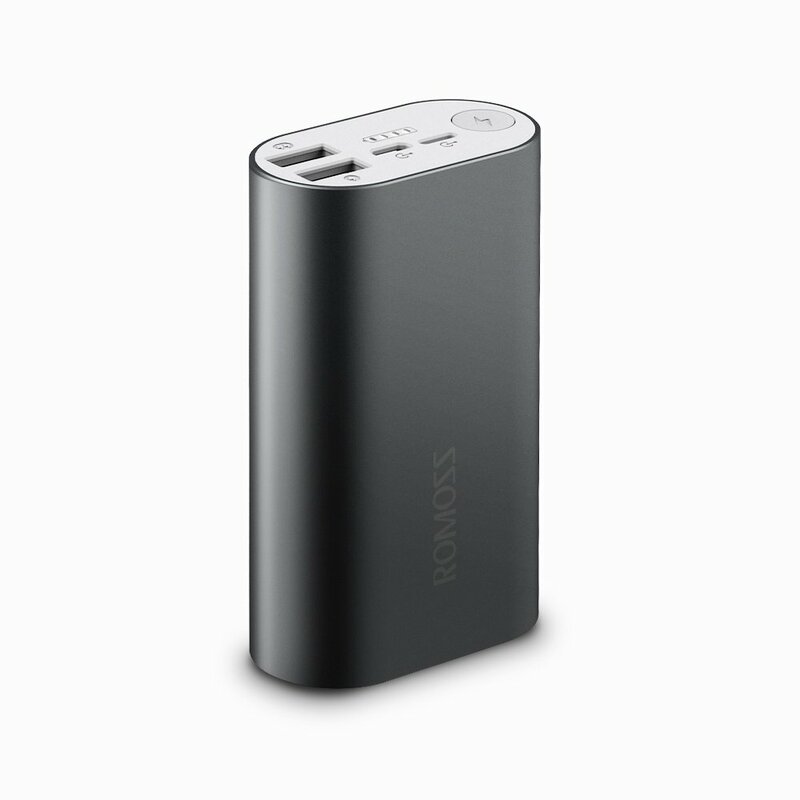 I bought this battery pack for continuous charge on a device! I needed something that I would leave it plug and the battery would do its job to recharge without me been there! 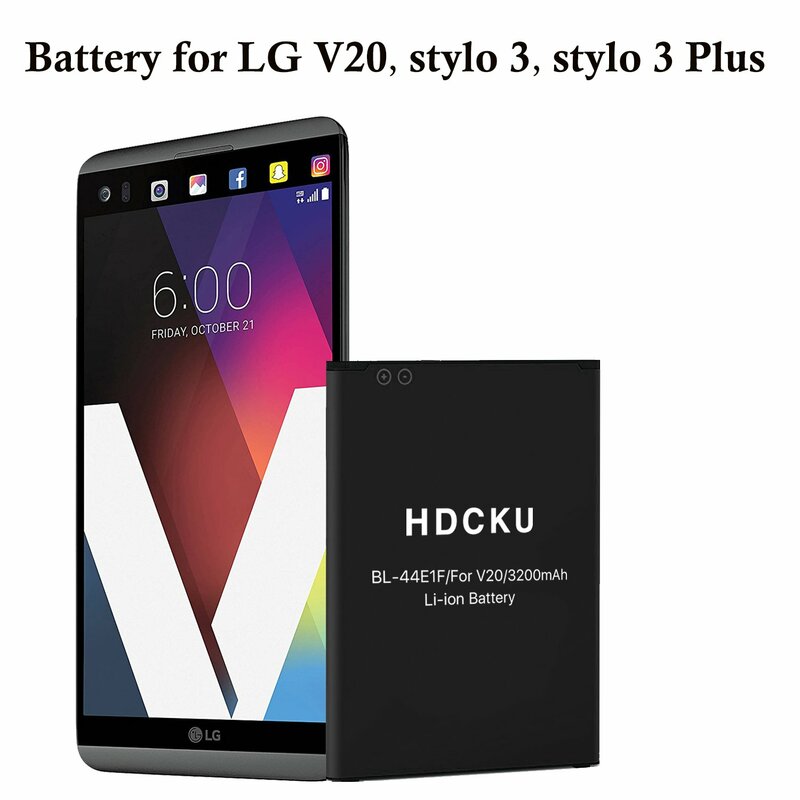 You just have to make sure is plug and the battery would automatically recharge the device once it reaches low power! AMAZING!! 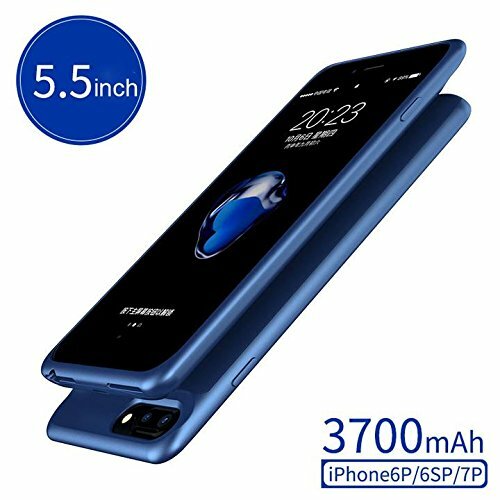 This power bank support the 2.1A fast charging, so it’s fast to charge my iphone 7 plus. It has two USB ports so I can charge my Ipad and Iphone at the same time. 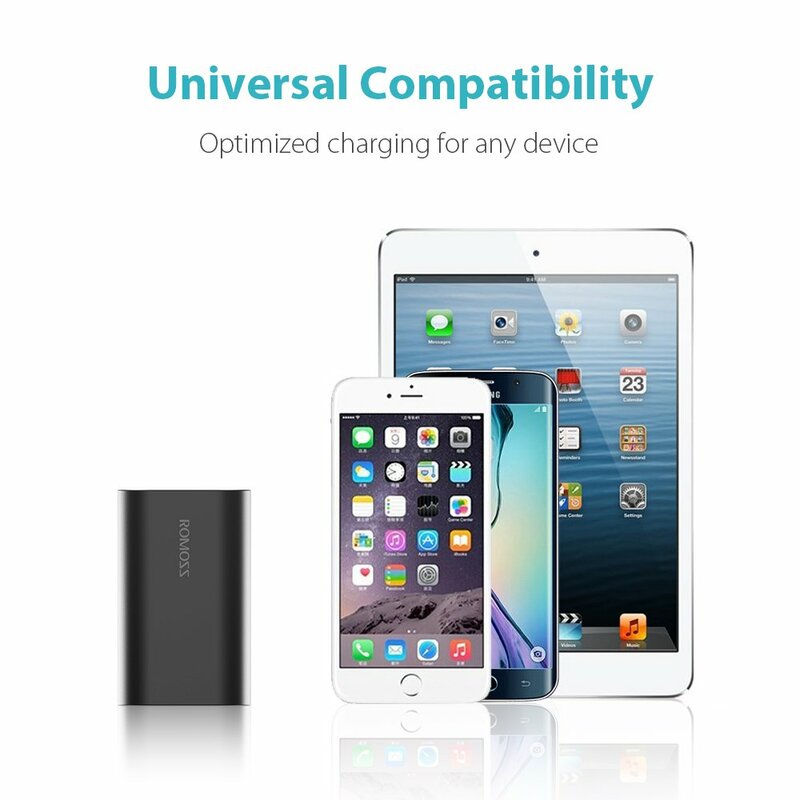 Also It has dual input, one lightning input and one micro USB input, convenient to use.